View your postal mail anywhere in the world with a Traveling Mailbox. Need an address in a larger city like New York City? 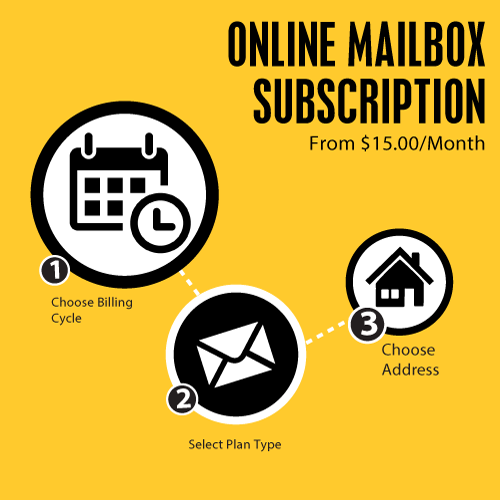 Upgrade to a premium address today! Start customizing your plan below. Need help deciding the best plan? Give us a call at 855-749-1737 to speak with a Sales Team Member! View your postal mail anywhere in the world with a Traveling Mailbox! We can forward your mail anywhere in the world, receive and forward your packages, even send your checks to the bank to be deposited. Incoming Envelopes – Receive more envelopes – Fee: $0.25 per piece. FREE Shredding & Recycling – We value your privacy! 60 Days of Mail Storage Free! – After 60 days, $1 per envelope per month. Live Customer Service via Phone, Email, and Live Chat 7 days a week!